Clevid Dikamona became Hearts' 17th signing of the summer on Sunday. On Sunday Hearts completed their 17th summer signing with the arrival of Clevid Dikamona. 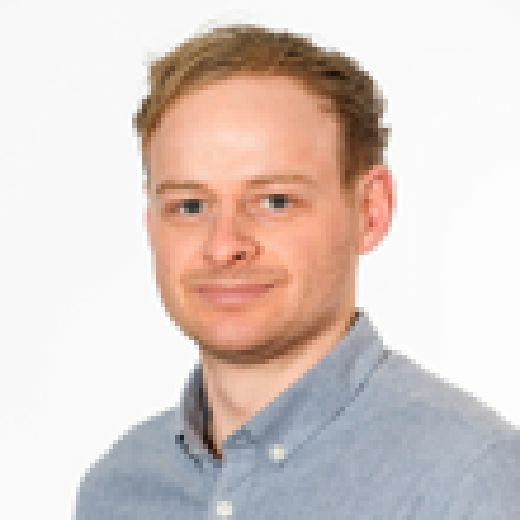 Joel Sked looks at what Hearts fans can expect. When Christophe Berra takes to the field you know what to expect. He will head, block, tackle and clear. The Hearts captain takes his role as a defender with the utmost seriousness and simply defends. Keeping the ball from his own goal is his priority and he expects the same level of standards from those around him. Things fans are unlikely to see from Berra are attempts to dribble out from the back, express himself on the ball or take any sort of risk in possession. Dikamona interprets his role slightly differently. Confident with the ball at his feet, he is forages forward, possessing good close control and dribbling. This will likely see him take risks by beating an opposing striker and moving into midfield with the ball. The 28-year-old will also attempt long switches of play with passes out to the flanks. That's not to say Dikamona neglects his defensive duties. When it comes to the bread and butter he is combative and fully committed in his approach to keeping the ball out of the back of the net. Like Berra in the Ladbrokes Premiership, he featured high for aerial duel success rate and number of shots blocked in the Greek Super League last season. 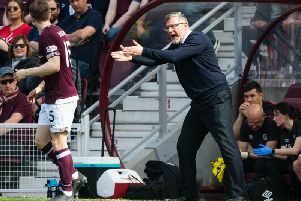 Craig Levein has not been scared to switch systems and formations. So far this season Hearts have played with three centre-backs, a back four and even a hybrid where one full-back tucks in allowing another to push further forward. The signing of Dikamona will give Levein a greater depth of options. The player is familiar playing in both a back three and back four having done so a number of times last season in the Greek Super League. He is also brings more balance to the team. Not just in terms of offering another option at the back but where he can play in defence. The partnership of Souttar and Berra are complimentary. Souttar is more able with the ball, while Berra is more of an aggressive stopper. But also Souttar is a natural right-sided centre-back, while Berra is left-sided. Last season Dikamona played on either side of a centre-back partnership. However, his comfort with either foot means he is more than capable as the left-sided centre-back. Scottish football is a peculiar place, especially for players arriving in the country with little knowledge or experience of it. Fortunately for Hearts, Dikamona spent a year plying his trade in the fourth tier of English football with Dagenham & Redbridge in the 2015-2016 season. The physical and mental demands which he faced in League 2 will go some way to preparing him for the intensity of Scottish football. He previously had trials at Sheffield Wednesday, Nottingham Forest and Oldham Athletic but was unable to get deals agreed to make a move to England prior to his switch to the Daggers. Dikamona made 34 appearances that season but was unfortunately part of the team which was relegated to the National League. Last campaign was bittersweet for Dikamona. He played top level competitive football for the first time in his career, facing teams such as Panathinaikos, Olympiacos, PAOK and AEK Athens. He was a key member of the Platanias squad, starting 22 of 30 league games. However, it was a long season for the Chania side as they were relegated after a five year stay in the Greek Super League. Not only were they relegated but they were a long way adrift at the bottom having won only two fixtures. Dikamona was only on the winning side once as the team conceded 65 goals in 30 games and sent off twice. Last season in Greece he had a player who is remembered fondly by Hearts fans alongside him: Christos Karipidis. The Greek is now 35 years old and featured 22 times last campaign, many of which were beside Dikmona. At Tynecastle he will see a familiar face in Jake Mulraney. The winger was a team-mate for a short time at Dagenham & Redbridge. Fans may soon see the qualities of another former Hearts defender in Dikamona. Jose Goncalves was renowned for his ability to shepherd the ball out of play and the Congolese is also adept at such a manoeuvre.